Connecticut is home to 3.5 million people and is comprised of coastal towns, cities, and rural areas. Small-town New England charm is an ideal backdrop for residents and visitors alike, and landmarks like Yale University and Peabody Museum only add to Connecticut's appeal. Alcohol abuse in Connecticut had been the top substance-abuse concern regarding adults and youth in the state. In 2010, 59.4 percent of Connecticut residents twelve and older reported being current drinkers, while the national average was 51.8 percent. In addition to overall alcohol consumption rates in Connecticut, teenage binge drinking statistics in the state have hovered above the national average for nearly a decade. The high alcohol consumption and binge drinking trend remained steady in the state as the number-one concern until the opioid epidemic began to severely affect states throughout the country. Connecticut is one of several northeastern states with opioid overdose rates well above the national average, seeing more than fourfold increase in deaths per year from 2012 through 2016. Even though the opioid prescription rate in Connecticut remained below the national average, the opioid overdose death rate has been alarmingly high, highlighting the enormity of opioid abuse and diversion. Heroin and opioids are the most common drug of abuse in Connecticut among those admitted to addiction treatment programs at present, continuing the trend from a 2015 Treatment Episode Data Set (TEDS), which showed more than double the admissions for opioids than alcohol. 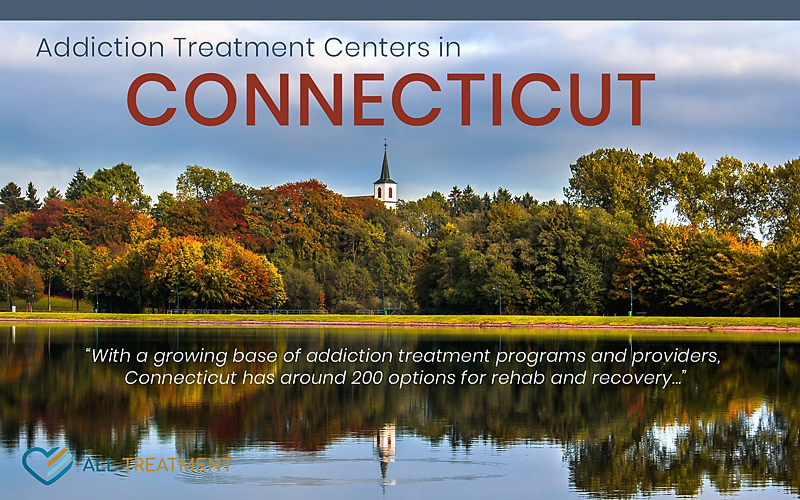 With a growing base of addiction treatment programs and providers, Connecticut has around two hundred options for rehab and recovery, many of which are in major cities, along the state's coastline, and where the greatest need presents itself among the residents. Connecticut addiction treatment facilities and opioid recovery programs remain in high demand as abuse and overdose rates continue to rise.